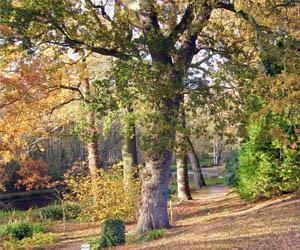 Fairhaven Woodland and Water Garden01603 270449work Garden130 acres of ancient woodland with over 3.5 miles of paths. We have a tearoom, gift shop, bird hides, children's nature trail and plant sales area. We also have a programme of events all year round - details can be found on our website. Visit in the spring to see the UK's finest collection of Candelabra Primulas as well as bluebells, camellia's and wood anemones. Summer brings Hydrangeas, Philadelphus and many wild flowers. Migrant birds and other wildlife come to the garden in the autumn, and there are many varieties of fungi and toadstools. Winter walks are great for spotting King Fishers, Deer and Otters. Boat trips from April to the end of October (additional charge). 130 acres of ancient woodland with over 3.5 miles of paths. We have a tearoom, gift shop, bird hides, children's nature trail and plant sales area. We also have a programme of events all year round - details can be found on our website. We are open all year round except Christmas Day. 10am to 5pm March to end September and 10am to 4pm October to end February. Late opening to 9pm on Wednesday evenings during May, June, July and August. Our prices are adults £6.85, concessions £6.60 and children £3.95. dogs 25p and under 5's free.